In the state of California, one in nine motor vehicle accidents is pedestrian related. 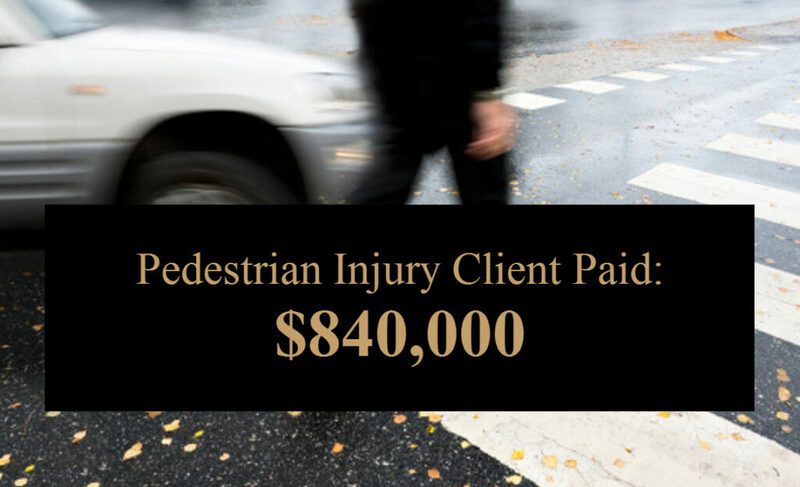 The Law Firm of Rivers J. Morrell, III, has decades of experience helping victims of pedestrian accidents, crosswalk injuries, hit-and-run and bike accidents. Highly committed to directly representing his clients, attorney Rivers Morrell can advise you and your family on your personal injury or wrongful death claims. He can assess your legal options for establishing liability and collecting damages against a negligent party. Pedestrian accidents with injury can occur in a parking lot, at street crossings, in the amusement park areas of Anaheim, or while riding a skateboard along the paths in Irvine or Newport Beach. The warmer weather combined with California’s outdoor lifestyle and heavy traffic results in a much higher number of accidents involving pedestrians. Pedestrians are at a substantial disadvantage when they are involved in an accident with a car, truck or motorcycle. These accidents usually result in serious injuries requiring extensive medical attention and long-term physical therapy and recovery. When a pedestrian suffers a serious or fatal injury resulting from an accident involving a motor vehicle, complex matters of proof and liability can complicate the case against the negligent driver. An experienced and accomplished attorney knows how to present the evidence before a jury or in settlement negotiations to win a case and maximize recovery. Many drivers in Orange County maintain minimal amounts of insurance coverage. Some have no insurance at all. In the case of a hit-and-run driver, the injured victim must pursue other sources of recovery unless and until the hit-and-run driver can be located. These cases require legal expertise and experience to ensure that you receive the maximum possible recovery in your case. Your own Uninsured/Under-Insured Motorist or UM/UIM coverage under your automobile insurance policy will cover your financial expenses resulting from a hit and run driver. However, many people who have become disillusioned with their own insurance carrier have turned to our office for help. You may be surprised how you are treated by your own insurance company when you are forced to file a UM/UIM claim after a pedestrian accident or hit and run. The Law Firm of Rivers J. Morrell, III, serves all of Orange County and will go the extra mile for a successful recovery. Our experience with reconstruction forensics, accident scene investigation, witness statements and insurance coverage issues, such as uninsured or underinsured motorist coverage, can help increase the likelihood that a pedestrian accident victim will recover full and fair compensation for his or her injuries. We will manage the insurance-related and legal details so that you and your family can focus on each other and healing. For additional information about our experience with accident cases involving pedestrians or bicyclists in Orange County and Southern California, contact our law offices in Mission Viejo, Irvine or Riverside by calling (949) 305-1400. We offer a free consultation.